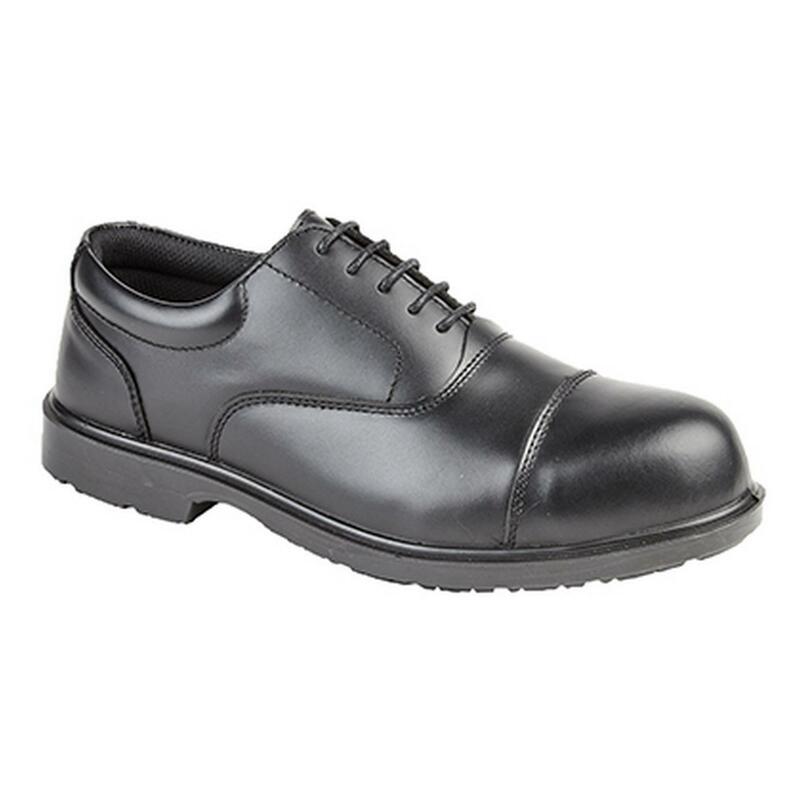 Mens safety oxford shoes. Protective toe cap. Penetration resistant midsole. Antistatic resistance. Fuel oil resistant outsole. Heel energy absorption. Non metal article. Will not trigger metal detectors. Composite lightweight safety toe cap. EN ISO 20345: S1 P SRC. Upper: Smooth Leather. Lining: Textile. Removable moulded EVA cushion sock. Sole: Dual density PU.